Applause-Tickets is the travel agents’ one stop for Broadway discounts in New York City. Find out more at Applause-Tickets.com! In today’s market, we all have to work hard to stay ahead of the competition. People are traveling less, eating out less, and generally trying to spend less money. Being in the business of selling tickets to Broadway shows, we are constantly on the lookout for ways to spread the word about our great deals on ticket prices. One of the best ways to do this is through you – the travel agent! Applause Tickets has the absolute best travel agent discounts in New York City. Visiting New York City is at the top of many people’s wish lists. The city has more recognizable attractions, structures and monuments than almost any other American City – The Statue of Liberty, Central Park, The Guggenheim, and BROADWAY. You can’t think of New York City without also thinking Broadway. 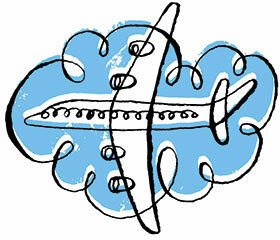 As a travel agent, one of your most requested items to find must be tickets to a Broadway show. You might not know which show to recommend or how to find the best prices on tickets. This is where we come in. Applause Tickets has been a licensed ticket agent in New York City for over 20 years. We know this city and Broadway inside and out. We also have connections at all of the major theaters in the city. This means that when they have unsold seats to Broadway shows, we are the first to find out. We get tickets to many of Broadway’s hottest shows for below face value prices and we pass these discounts on to you – the travel agent. We also know (and love) every show on Broadway and can guide you in the right direction when it comes to finding the right show for your client to see. Call Applause Tickets today to get all the best discounts on the best shows on Broadway. Our representatives are standing by 7 days a week at 1-800-451-9930 to answer all of your questions.